Everyone now knows that teaching kids to identify their emotions and learn to express them appropriately gives kids important tools to help them communicate more effectively. 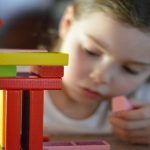 Solid evidence suggests that children who have learned to manage their emotions appropriately are more accountable for their actions (reactions) and are also more likely to be happier and more successful in life. When you become your child’s emotion coach, you give him or her the tools to navigate life’s challenges. It is widely accepted that one of the most effective ways in which to teach kids (and also adults!) to calm down is to practice deep breathing exercises. Deep breathing is frequently used in health institutions to help calm patients struggling with stress and anxiety. The problem is, telling your child to “take a deep breath” when he or she is in the middle of a meltdown is unlikely to work. 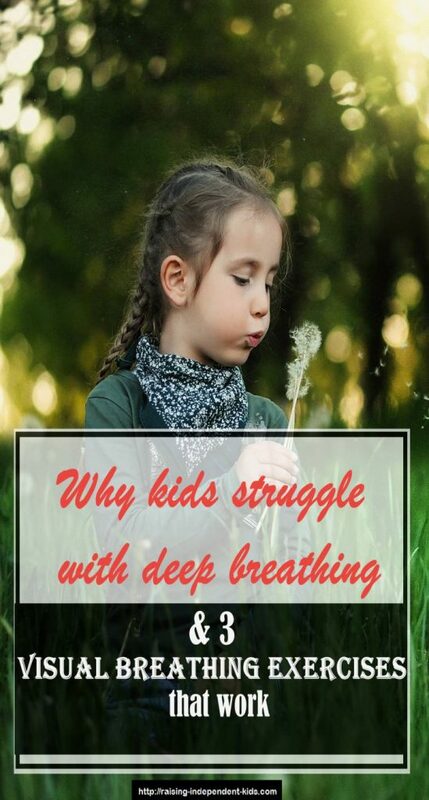 Kids just don’t know “how to take a deep breath.” Deep breathing is not an innate skill that every kid is born with – kids have to be taught how to breathe effectively. 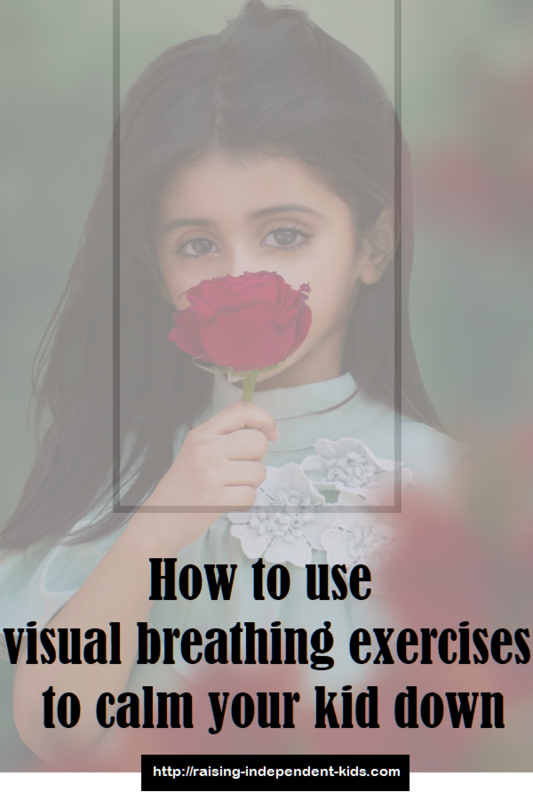 One of the most effective ways to teach kids to use their breath effectively is to use visual breathing exercises. Belly breathing goes by many names. It is also referred to as deep breathing, abdominal breathing, or diaphragmatic breathing. 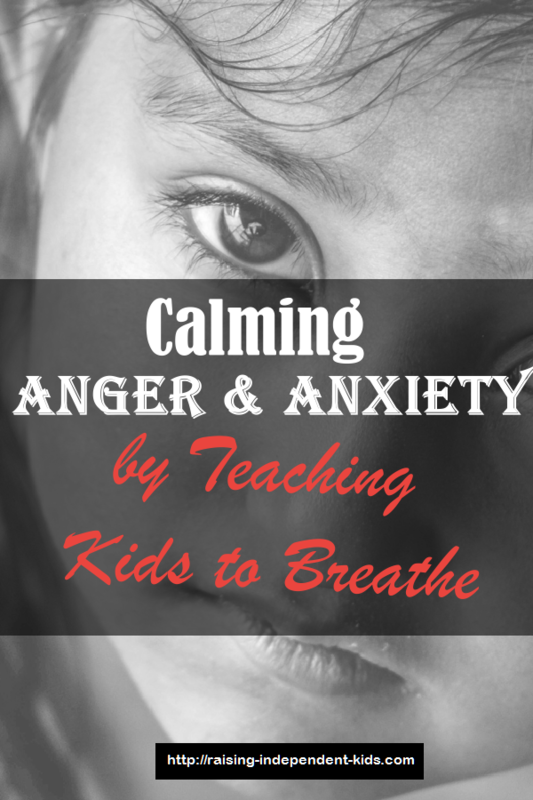 Belly breathing has been proven to be highly effective as a calm-down strategy for both kids and adults. Ask your kid to lie down on her back. Ask her to close her eyes and breathe normally. As she’s breathing, ask her to pay attention to all the parts of her body. What moves as she breathes? Ask her to place one hand on her upper chest and the other on her stomach. Tell her that when she inhales through her nose, the air will go into her stomach. Tell her that when she inhales, the hand on her stomach should move upwards and the one on her chest should remain still. Ask her to inhale for a count of four, then hold it in for a count of four. Ask your kid to exhale. Tell her that when she exhales, she should push out the air from her stomach. The hand placed on her stomach will move downwards. Repeat the exercise for five to 10 minutes or until your child feels relaxed. Feathers come in colorful shapes and are an awesome tool to teach your child to breathe. Take advantage of the fact that feathers come in many colors and sizes to collect many different feathers. Ask your child to choose his best feather and hold it in his hand. Ask him to take a deep breath. To help him learn about deep breathing, ask him to put his hand on his stomach and tell him that when he breathes in, his breath will push his hand upwards. Tell him to inhale for a count of four, then hold his breath for a count of four. Now tell him to exhale slowly through the nose. Tell him that when he breathes out, the feather should flutter. Repeat the exercise for five to 10 minutes or until he feels relaxed. An alternative way to use feathers is to have your kid pick a feather and place in on a flat surface (for example, a table). When he breathes out, the feather should move across the table. 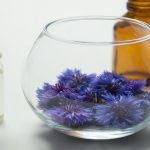 Flowers are an easily available resource and a great way to teach kids about breathing. Flowers can help you teach your kids to practice deep breathing regularly. Ask your child to choose a flower. Tell her to breathe in through her nose for a count of four. When she breathes in, tell her to smell the flower, then hold her breath for a count of four. Then ask her to breathe out through the mouth. You can also try teaching your child breathing exercises using visualization by asking your child to visualize an imaginary flower (“Imagine smelling your favorite flower”). 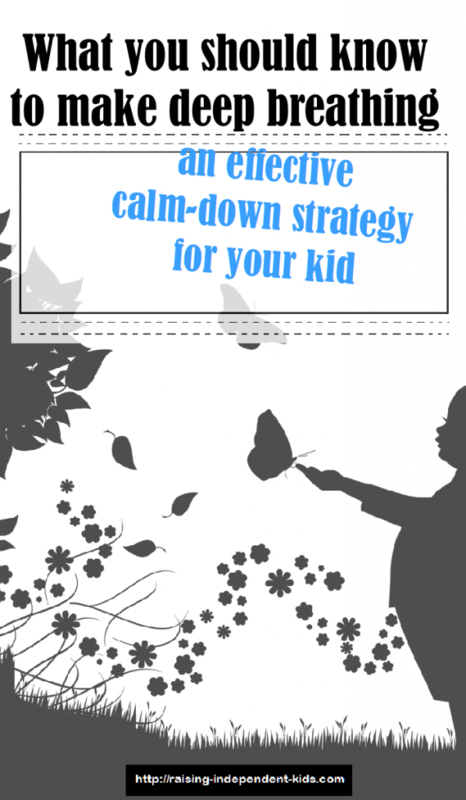 Teach your kids to breathe during calm moments rather than when they’re upset or in the midst of a meltdown. When you learn to identify your child’s triggers, you can propose breathing exercises before things get out of control. 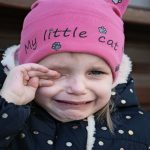 By the time a child is in a complete emotional meltdown, it is often much more difficult to get him or her to calm down. 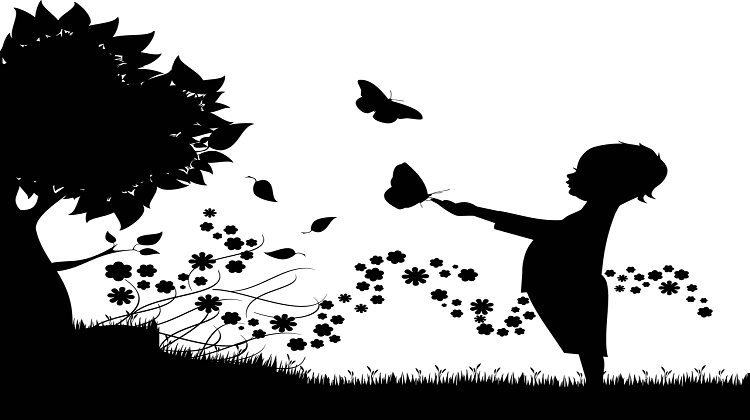 Take advantage of nature and everyday moments to teach your child to breathe. When you make it a habit to stop and smell the flowers, your children copy you. Teach them to take the time to interact with nature on a daily basis.There are awesome resources such as Yoga for Children which has over 200 yoga poses, breathing exercises and meditations adapted to children. Pick at least one of the exercises above and try it out with your child. Remember that your kid won’t necessarily learn to breathe appropriately the first time you try these exercises. Practice makes perfect. 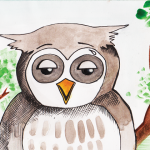 If you haven’t already begun teaching your kids to identify different emotions, find fun ways to talk about emotions. 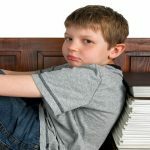 My FREE 4-week e-mail mini-course can help you teach your child to identify and manage anger and anxiety in appropriate ways. Find out more here.